For years my flute teacher [Brooks de Wetter-Smith] talked about Jimmy. Brooks would say, “Jimmy does it this way,” or “Listen to Jimmy’s recording of that.” After a while, I, too, thought of him as Jimmy. When James Galway gave two concerts at Duke University in nearby Durham, Brooks and his wife had a reception at home for Galway, their longtime friend and Brooks’ former teacher. So that Brooks and Mary Lou could prepare for the party, they asked my husband and me to drive Jimmy to their home. “I hope this won’t put you to too much trouble,” Brooks said. Trouble? Having the world’s greatest flutist in my car, all to myself for 20 minutes, trouble? Was he kidding? I was excited and thrilled. My students and friends asked what I would say to him. I didn’t plan a speech or memorize a list of questions. After all, James Galway was a regular person, just like anyone else, and I wasn’t expecting to feel intimidated or tongue-tied. Now, if I had to play flute in front of him, that would be another story. But I’m an extrovert and was looking forward to whatever would spring up spontaneously. The concert included the fabulous Prokofiev Sonata, the showpiece The Carnival of Venice, and, as encores, The Swan by Saint-Saёns and Danny Boy. Galway’s technique was stunning, his tone spectacular. He made engaging and humorous comments between pieces. After the concert, I made my way backstage, accompanied by my husband, my adult students, my young students Rachael, Kamna, Rachel, and Ramona, and at least a hundred other autograph seekers. When Galway opened the door, he was in his raincoat, suitcase in hand, ready to go. He took one look at the crowd and exclaimed, “Wow, look at this! OK, let’s do it.” He went back inside the room, sat down at a desk, and waited for the first person to approach him. Then, as I watched, I saw a truly gracious person patiently sign his name on programs and CD covers and greet each person in a friendly manner, even though I could sense his impatience to leave. When my 9-year-old student Rachel approached him, she had a strip of paper that had one blank music staff on it. James Galway seemed amused and asked if she was a flutist. After she answered yes, he took extra time to write out the opening two measures of the Bach B minor Suite in addition to his name. Rachel came and showed me her treasure. I told her, “Save this forever. It’s special.” She giggled and went to find her parents. Ramona handed him a program, and he asked her, too, if she was a flutist. When she nodded, he said, “Well, are you going to go home and practice?” and when Ramona simply smiled, I said, “Yes, she definitely is!” Jimmy chuckled. I’m forever telling my husband not to drive so slowly, but for once I was glad about the lightness of his foot on the pedal. In the car, the three of us talked about Jimmy’s four platinum and 17 gold flutes (all with diamonds), about publishing the music he records, about anesthesiology (my husband’s profession), and about the new Liebermann Concerto. Jimmy mentioned someone named “Lenny,” and I realized he meant Leonard Slatkin, the conductor. My teacher and his wife have a warm and beautiful home, and there was good food and wine at the reception with flute music in the background. Most of the guests were Brooks’ college students, plus one or two private students like myself. Jimmy answered questions, made jokes, and signed more autographs. I was amazed at his energy, his willingness to be “on,” knowing he had to get up early and play a concert in Pennsylvania the next day. I perceived him as a man with enormous fame but the graciousness to respond respectfully to comments he’d heard a million times. The next morning I lay in bed reminiscing. Brooks had thanked me for being Jimmy’s chauffeur, but I wanted to thank Brooks for giving me the privilege. Then I got up, put on my jeans, and went to meet with my pianist to rehearse a piece for church the next day. We were working on a movement from the Fantasia for a Gentleman by Rodrigo, transcribed for flute by my new pal. After the first run-through, my pianist turned to me in surprise and said, “You sound fantastic today! Your tone and phrasing are incredible!” For God’s sake, call me Helen. Published in Music for the Love of It, April 1995 and A Flute in My Refrigerator, 2013. Used by permission. 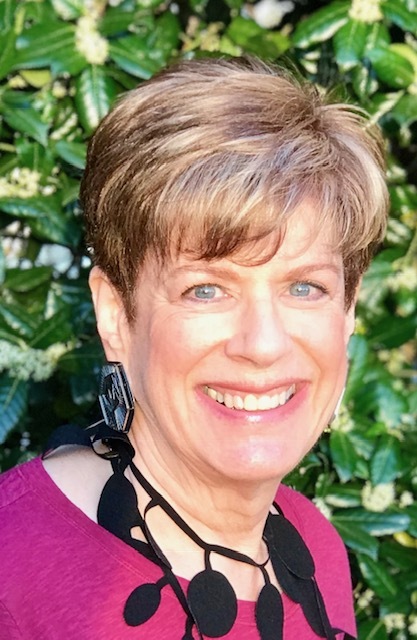 Helen Spielman has been an inspiring voice in the field of performance anxiety for three decades, teaching countless musicians to take the excellence they produce in a relaxed practice room to the high-stakes arena of auditions, recitals, and pressure-cooker orchestras. She has guided musicians who, ready to quit their careers, regain their original love of music and return to the stage with joy. 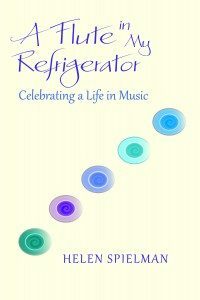 Helen’s personal struggles and joys as a performer, innovative flute teacher, and adult music student are portrayed in her popular, stirring book A Flute in My Refrigerator: Celebrating a Life in Music. It has been described as “one during which I had to pace myself, or I would’ve finished it in a day. Each story is a treasure, worth savoring for its love, spirit, humor and humanity.” (C.Beely). This is a wonderful article but I know it is just the beginning of Helen’s adventures with Jimmy. She even met up with him once in Great Britain. I hope she shares more of her stories here. When I was one of Helen’s adult students, Jimmy and his wife performed in a concert in Greensboro. Helen took some of her student’s backstage after the concert to meet Jimmy. I had him autograph a copy of his 1982 book called Flute. I will always cherish that book and remember the beautiful concert. Thank you, Helen.